After the Kinect came out, I never thought I'd go back to the Wii for my exercise needs until I tried out ExerBeat. The Wii exclusive is fun and the onscreen prompts showing you exactly how to do the moves you need to do are very helpful. I only tried out the Karate section where I had to do actual karate moves with my arms. I was sweating within the first two-minutes of the routine! There are 155 exercises broken into eight different types of workouts. 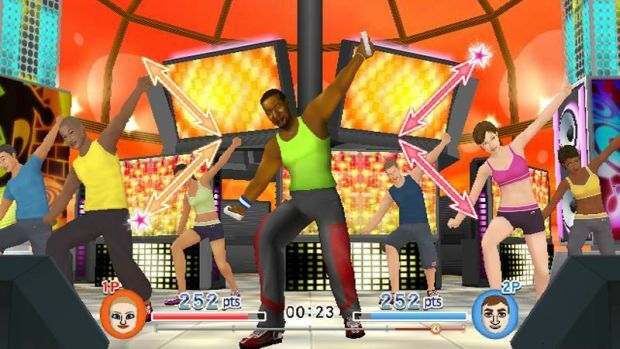 You'll be able to routines in Hip hop, Latin Dance, Aerobics, Boxercising, Karate, Karate Forms, Yoga/Pilates and Stretching. ExerBeat is up to two-players and will support MotionPlus and the Balance Board. Expect to pickup the game this Spring.